Front End is really huge nowadays. We have to draw sprites, transpile ES to js, less/sass/stylus to CSS and so on. And it is only becoming more and more complex over time. A lot of routine processes, which developers had to perform manually 2-3 years ago get fully automated today. But for an every old routine, there emerge two new ones, which often slow down the rate of our work, and kill all the pleasurable experience we get from the very process of front end development. That is why I always advise to learn and implement new automating tools and techniques, which help you get rid of the boring manual routine and concentrate on the creative effort. One of such tools that I’ve stumbled upon recently was TARS. TARS is a markup builder for front end, based on Gulp. Basically, it’s a framework with a set of gulp-tasks, which allows creating new tasks and modifying existing ones easily. You don’t need to have any experience with Gulp to work in TARS, since it provides its own UI architecture for storing tasks and watchers of your projects. Jade or Handlebars as HTML templater. The command line interface (TARS-CLI), which auto-updates your version of the software. ES6 (and some experimental features from ES7) integrated. SCSS (SASS), LESS or Stylus as a preprocessor for CSS. Also includes a small set of mixins. Sourcemaps are integrated. Uses Chokidar module for file watching. Smart image processing, primarily, the SVG vector graphics. No more struggle with markup for screens with high pixel density. 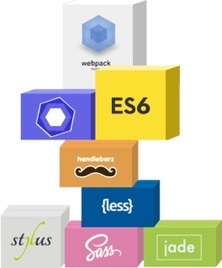 TARS supports two workflows of working with SVG: SVG-sprites and SVG-symbols. This is not the complete list of features – new ones add up with every global update. You can check out all of the current features on the project’s official GitHub page. The full list of documentation is also available there. by installing the TARS package, and then manually installing the required dependencies. Let us go through the TARS-CLI installation process. To the ones who like to setup everything manually, please check out this list of instructions. Add an empty page or copy an existing page. The prerequisites for running TARS are Node.js version 4.x.x or higher, and NPM version 3.3.10 or higher. If you get a ‘Permission denied’ or an ‘Error: EACCES’ , try running the command again with sudo. After that, run the TARS-CLI installation command, as in Linux. The file structure is generated automatically, so you don’t have to create anything manually. For the sub-structures of each particular components or builds, please refer to the Structure FAQ section. You can run the tars –help without additional commands and flags at any moment. This command displays information about all available commands and flags. Also you can add the –help key to any command to get full description of this command. The tars –version command will display the current version of TARS-CLI installed on your computer and the version of TARS in your current project. Also, you will be informed whether updates are available. Almost all commands run in the interactive mode, so you can communicate with CLI like it has its own GUI. If you are using interactive mode you don’t need to bother remembering which the flags are responsible for what. The interactive mode is easy to disable if you use automatic testing or something else that doesn’t require the human presence. 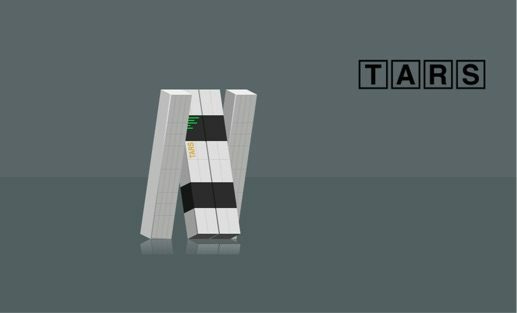 tars update-project — update TARS in current project. Other custom commands are described in the relevant FAQ section of the project. TARS was first released in late 2015, and by now it has updated to the version 1.8.3. Run by a team of only 3 people, this tool is becoming popular especially in the web development industry. TARS is distributed on a free-to-use basis, has an open source code, and is welcoming any side contributions. For me and my colleagues, TARS has been a real time saver and organizer, which helped to reduce the amount of routine manual coding, and focus on doing what we love doing – designing fresh and innovative front end solutions. Bogdan Voydevich is the Lead Front End Developer at Vintage Web Production – one of the most awarded web studios in Eastern Europe. An inspiring artist and graphic novelist, Bogdan likes to create visually appealing and innovative front end solutions for the web. You can reach out to Bogdan via Facebook or Instagram.